Let’s face it, we live in competitive times. Everybody is trying to do their best to do it all and do whatever it is better than everyone else. Despite the endless mimes on Facebook regarding self love and acceptance, Americans just love to compete. Being competitive isn’t bad when it comes to sports or certain activities, but does it have a place in the Pilates studio? Do our clients and students do better or worse in a highly competitive environment? Do Pilates instructors need to feel competitive with their own practices are when comparing themselves to other teachers? I find that being overly competitive or too much of a perfectionist is not always good for clients. An individual Pilates practice is a very personal matter and negative comparisons aren’t healthy. I have also discovered in my 19 years of teaching and studying the method that competition can often diminish the Pilates experience. In other words, it makes it a lot less fun. When I started my Pilates practice, my teacher let me move: Beautiful, glorious movement. She made corrections and offered suggestions, but she was not overly critical. On my very first session, I did things that I now realize were intermediate in nature yet she let me experiment and have fun. I wasn’t perfect by a long shot. I probably wasn’t even that good, but BOY WAS I ENJOYING IT. The freedom to move in a safe and effective way made me feel amazing. Obviously it worked because I made the decision to make Pilates my profession. Then things changed. I started taking classes from different instructors all over the United States. This was during my own training to become a teacher and I was excited to learn from others. What I did learn was not every Pilates instructor believes in letting his or her clients move. I had what I call a good/bad experience with a New York teacher who was so critical that I almost walked out of the studio. It was a good experience because it taught me exactly how not to teach. I know not everyone who teaches Pilates agrees with my philosophy and that’s okay. I hear that many teachers feel that being critical is what makes people do Pilates better and that competition is a good thing. Perhaps that’s true, but I also think that too much criticism and too much competition make students lose interest and they eventually move on to something else. People want to be good at what they do, but they don’t always strive to be perfect. Then there are students that come from backgrounds in sports or dance where being competitive is second nature. They want to be extraordinary the first time they put their head down on the head-rest. “Work me harder. Add more springs,” They may say even though the teacher knows exactly what that client needs. In a large group reformer class many times students are checking out the limber student with the perfect split and wishing they were more like her. “I wish I could do that,” I have heard students say as they enviously watch the star student perform. I find that this takes away from their own accomplishments. Maybe they can’t do a full split, but they have still made tremendous progress in the past few weeks. Trying to emulate that person may just make the student that much more frustrated. Look and observe. The first thing I do is to look at each student and observe what they do well. a. What are their strengths? Focus on progression. I try to get them to see where they start and how they progress from session to session. Emphasize strengths. During our time together, I always make a point of doing at least one exercise that shows off their strong points. Having that confidence going forward in the session goes a long way and keeps everyone happy. Regarding Pilates teachers in the age of Instagram is a whole different matter. When has our profession become more about showing off our abilities (and hot bodies) and not how we can help people gain strength, flexibility and confidence? Perhaps that’s just the way it is today, but I still adhere to the fact that we are there to help our clients and students and not impress our followers. There isn’t much one can do about our overly competitive nature, but we can help students and even help ourselves to learn to live in the moment, enjoy what we do and realize that perfection is really just a dream. Devra Swiger is a Polestar certified Pilates instructor, ACE Orthopedic Fitness specialist and ACE certified Personal Trainer and Group Fitness instructor. She has studied with Colleen Glen, Jennifer Kries and many other top-tier instructors. She owns Ab-Solutely Pilates in Huntington Beach, CA. In addition to Pilates, Devra loves hiking, yoga, learning foreign languages and painting. She can be reached at www.Ab-Pilates.com. This article was so totally accurate! I find the constant competitive nature of Pilates very wearing overall. 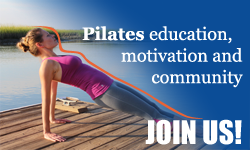 As a studio owner it has been very hard to hire teachers who can relate to their students without requiring perfection or competing with other teachers in a manner that suggests “anything you can do I can do a better.” I don’t think a mind-body form of exercise is the right platform for the level of competition that exists in Pilates. How can we as teachers reinforce that students should feel good about where they are when we don’t practice that amongst ourselves in the profession? I totally agree about Instagram, a newbie probably wouldn’t want to set foot in a studio after viewing someone doing a backbend in a crop top on the reformer might be a little intimidating! Thanks so much I so loved this article. I agree too with this article…. we all have different ways of teaching .. but a good teacher should take in consideration the age, issues as well as naturel abilities . So agree with this – as a newer teacher who is neither a former dancer nor from a competitive background, I love teaching privates but am finding it challenging to work with students in group settings who have taken classes (or otherwise developed a mindset) where that “bootcamp” mentality prevails. I’ve been mulling it over especially this week, when I had two people who just would not listen and kept putting on unsafe levels of springs – this article provides great food for thought, thank you. You got it right Devra, teach the body in front of you, and the client shouldn’t be deciding on springs, that’s the teachers job to determine. Also, it’s not a performance sport, it’s intelligent exercise for EVERY body. There are some amazing movers, but most people don’t move like that, they do the best they can and with a good teacher advancements are made. Look at the Pilates Promise, in 10 sessions, you’ll feel better, in 20 you’ll see the changes and in 30 everyone around you notices your better posture and ease in moving. It’s not a competition. Devra you are spot on! Pilates is about the person who walked in the door. Each of our bodies are different from each other and different on each day. Competition has no place in a Pilates studio! Just moving is so important! Yes, there is correct form , but don’t stop them from moving and enjoying the experience. As one of my new clients texted me after her first session “ Wow , I loved it. My body feels awesome! I didn’t know I could move like that and feel so good”. That kind of says it all! Thank you everyone for your kind replies. I am always glad to hear that people agree with me. I think that those who enjoy being ‘beat up’ by their teachers are in the minority. I keep hearing from my own clients and students that they appreciate the positive reinforcement and the willingness to let them move. My experience in NYC really taught me that picking on ever single thing is not productive and only makes for a weak instructor (or an unemployed one).